"Florence is very social, greeting everyone she sees." A tiny little bundle just arrived at a sanctuary for apes in central Africa — and she simply cannot get enough love from everyone she meets. But, like so many of her kind, this tiny orphaned chimp, who is now named Florence, was nearly lost forever in the brutal world of wildlife trafficking. 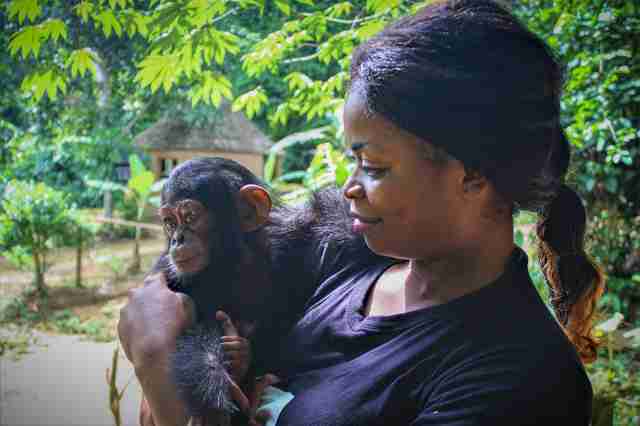 Florence arrived at Ape Action Africa's Mefou Primate Sanctuary in Cameroon earlier this month after a government official in Abong-Mbang came upon the infant chimp. At just about 8 months old, Florence would normally be inseparable from her mother. That she was found alone was a very bad sign. "Florence is in good health but she is still very young and vulnerable, so has a strong desire to be mothered," Ape Action Africa wrote on Facebook. "She has bonded quickly with her caregivers and spends most of her time in their arms, taking in her new surroundings and never venturing too far." Sadly, what likely happened to Florence is not so uncommon. 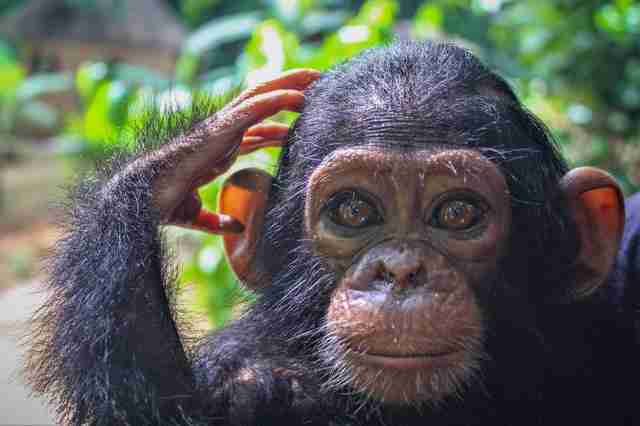 Wild chimpanzees are often targeted by hunters and wildlife traffickers: They kill adult chimps for bushmeat and often sell the infant chimps into the illegal pet trade. 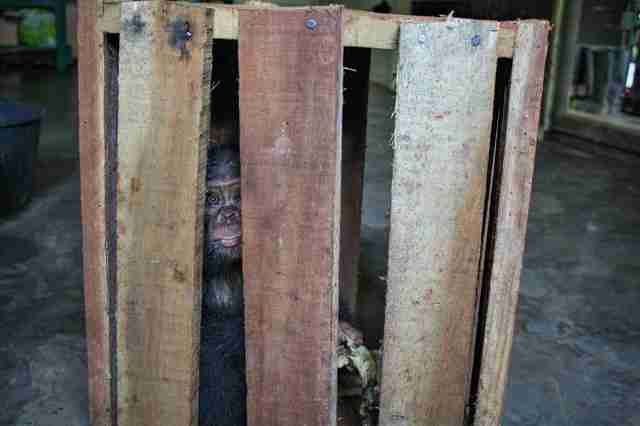 When the chimps grow too big to handle, they are usually shut away in tiny cages and abandoned. The destruction of natural habitats also poses a threat to the lives of so many wild chimps. Where, a century ago, there were as many as 2 million wild chimps all across Africa, now their population has dropped to an estimated 350,000. While Florence seems relatively upbeat considering all she's been through, she's clearly afraid of being left alone again. When she climbed up into a nearby tree, for example, she kept careful watch on her caregiver down below. "Florence is very social, greeting everyone she sees," the sanctuary wrote. And, luckily, there are many other young orphaned chimps at the sanctuary who can understand what she's been through — and they are eager to meet Florence. 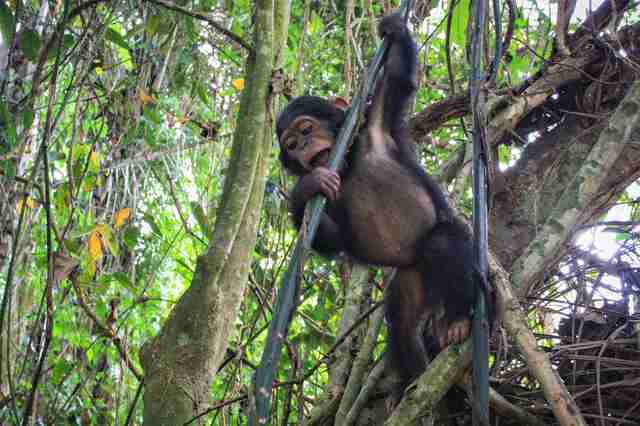 "Once she has settled and grown stronger, she will join our infant group in the forest and be part of a chimp family again," the sanctuary wrote. 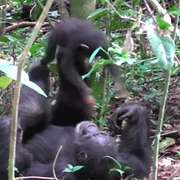 To help Ape Action Africa care for the hundreds of apes it has saved, you can make a donation.